PGA of America Master Professional, Greg Coffin is offering an exclusive golf learning experience for ClubLink Members in Sun City Center, Florida. Playing better golf involves many aspects of the game, most significantly developing a clear and defined path needed to reach your golfing goals. I founded Greg Coffin Golf Academy with the premise of designing an instructional program that provides complete game instruction and an approach that accommodates golfers of all levels of interest and ability. To achieve this, each school is customized exclusively to the personal needs of each individual student. You will not find the latest theories or gimmicks; rather we instruct time proven fundamentals that build a solid foundation for your golf game. WHEN ARE SCHOOL SESSIONS OFFERED? 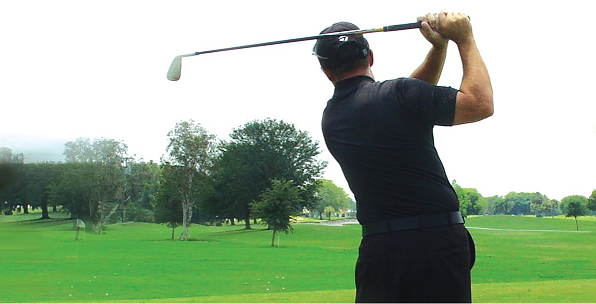 Golf schools are offered throughout the fall, winter and spring. School reservations are customized to the number of days, time of week, format and curriculum to meet your individual needs. WHAT CAN YOU EXPECT WHEN ATTENDING? WHAT MAKES GREG COFFIN GOLF ACADEMY DIFFERENT FROM OTHER SCHOOLS? Greg Coffin Golf Schools are the most complete instructional program available to today’s golfers. Available to golfers of all ages, ability, interest and desire. Shortly the weather will be turning up North…what better way to get out of the cold by taking a trip to sunny Florida to work on your golf game? An opportunity to maximize game improvement and realize golfing aspirations are at the forefront of each school. When attending one of my Greg Coffin Golf Schools you will be evaluated and coached on the aspects needed to achieving your golfing goals. Swing technique, shot making skills, course management and detailed practice plans are just a few of the many benefits that you receive. WHAT HAPPENS AFTER YOU LEAVE? Greg Coffin Golf Academy covets the relationships we build with our students. We encourage students to text or email videos of their golf swings for follow up review. $250 per day per student - 2018/2019 FOURSOME SPECIAL! TAKE YOUR GOLF GAME TO THAT NEXT LEVEL!